It’s been 2 years since I have my ice cream machine from Breville. I really love it. Mostly during summer. With Zaar World Tour, we were cooking for Germany and Asia the last 2 weeks. And I made this ice cream. It’s sweet but really yummy. If you like Snickerdoodle, I guess you’re going to love it. I like the taste of the spices. In a medium mixing bowl, combine sugars and spices. Stir in the rest of the ingredients until well-mixed. 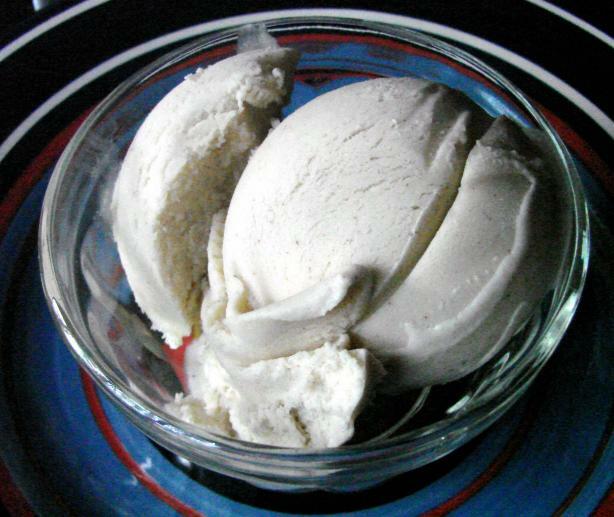 Pour mixture into a 1 quart ice cream maker, and freeze according to manufacturer’s instructions.